Gerald Carlton 'Pete' Lovely was American racer who made his name on the West Coast in the 1950s and managed seven World Championship Grand Prix starts between 1960-1971. Lovely was born on April 11, 1926 in Livingston, Montana and served in the U.S. Army Air Corps as an aviation mechanic from 1944 until his honorable discharge in 1946. Wherein his military skills led to a job at North American Aviation in El Segundo, California and then, back to Seattle to work for the Boeing Company. In 1954, Pete and his former wife, Patricia, started a Volkswagen dealership that he owned and operated for 34 years, Lovely Volkswagen. Pete was well known during the mid-1950s driving a slew of specials, Porsches, Alfas and Austin-Healeys. Among his most famous cars was the Porsche Cooper known as the 'Pooper.' He drove with great skill, often taking home class honors with great heroics. Perhaps his greatest win came at the first race at the Laguna Seca racing circuit driving Fred R. Armbruster's Ferrari 500TR on November 10, 1957, taking the overall win ahead of such notables as John von Newmann, Richie Ginther, Carrol Shelby, Jim Hall and Max Balchowsky. 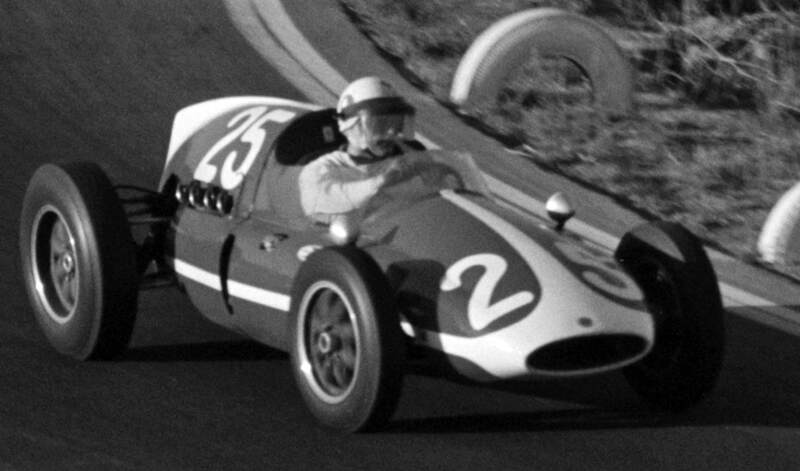 For 1959, Colin Chapman of Team Lotus offered Lovely a ride for the Formula 1 season, starting at Monaco. Upon arrival, Lovely found the Lotus team only had 1 1/2 cars ready for him and teammate Graham Hill. More letdown followed, as Chapman stated Lovely's sole earnings would come in the form of starting money. It wasn't exactly what Lovely had hoped- he had left home, his growing Volkswagen dealership, as well as his young family to see what he could do on the Grand Prix circuit. It was all for naught. Hill's car was the only car ready for the race, and despite the fact Lovely took Hill's car out for qualifying, the fledgling Lotus F1 effort, with their frail Mk.16 cars were not the world-beaters quite yet- evidenced by the fact that Hill qualified 14th in the 16-car grid. Lovely took the what little money he had taken to Europe and purchased a ticket back home. 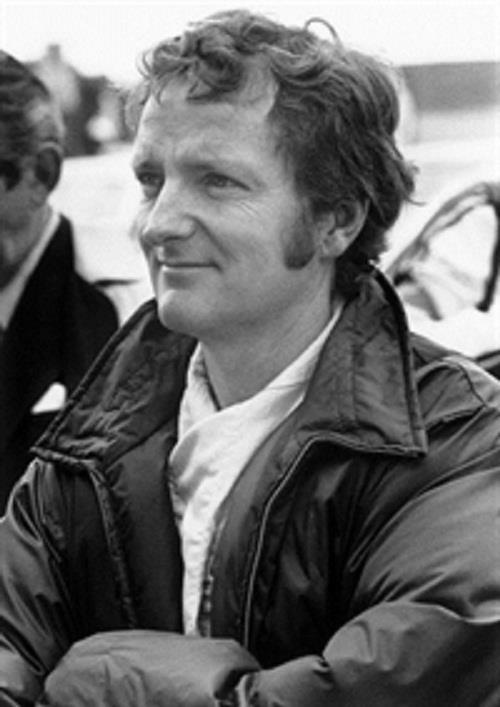 Regardless, for one sole Grand Prix event, Pete Lovely was a factory Lotus driver. In 1960, Armbruster, a firm supporter of Lovely's, purchased a Cooper T51 car for Lovely to use at that year's United States Grand Prix, held 'just down the coast' in Riverside California on November 20. Normally, a T51 would carry a Climax four-cylinder engine. Not in the case of this car. Lovely went about purchasing a Ferrari 625LM motor from fellow sportscar racer John von Neumann. The engine in question came out of von Newmann's 1957 2.5L Ferrari Testa Rossa, which would be receiving a Chevrolet motor upgrade. The 2.5L era of Formula 1 was coming to a close in 1960, so the Cooper-Ferrari combination would be a one-off run for a Grand Prix. Of course, having a running Formula 1 car is one thing. 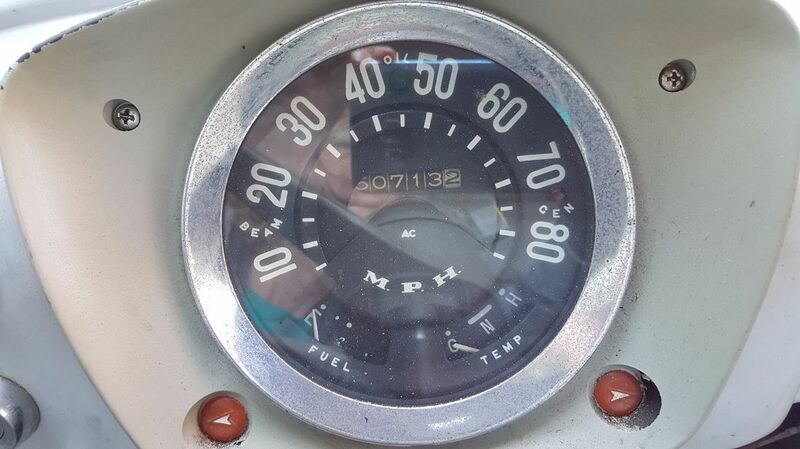 Getting it from Tacoma, Washington to Riverside, California in 1960 was another thing entirely. 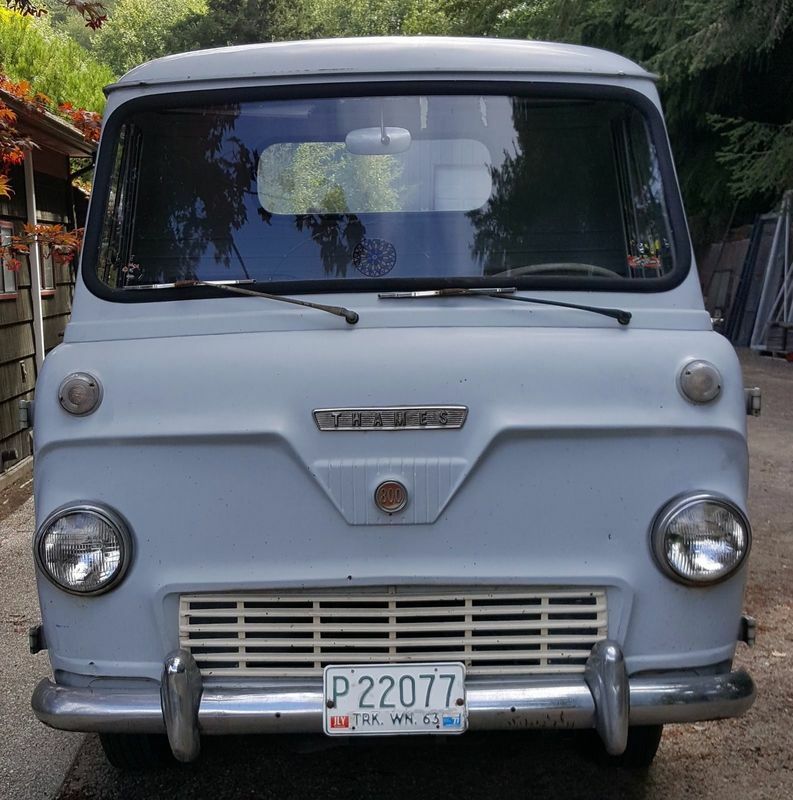 Luckily, Lovely had a two-year-old Ford UK-built Thames 800 pickup truck he had purchased from a Ford dealer in Seattle. Thus, the story of our Thames 800 begins. In September 1957, Ford Motor Company began production on the Thames truck line to help energize their slumping light-duty truck offering. 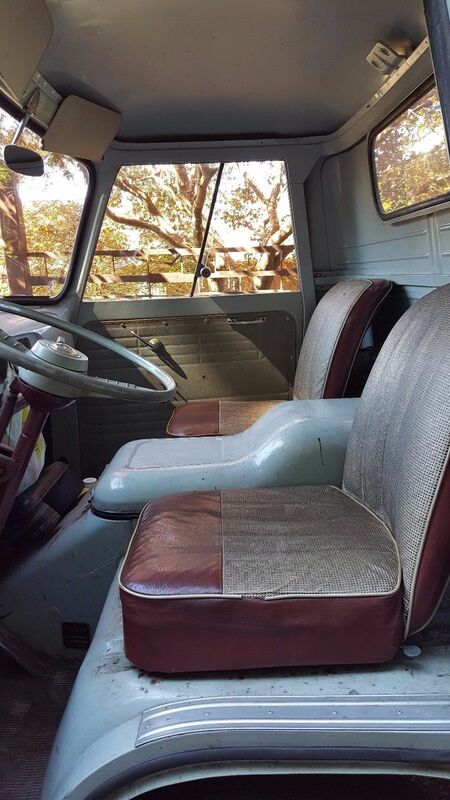 Trucks were available as vans or as 'pick ups' as in the case of Lovely's machine. 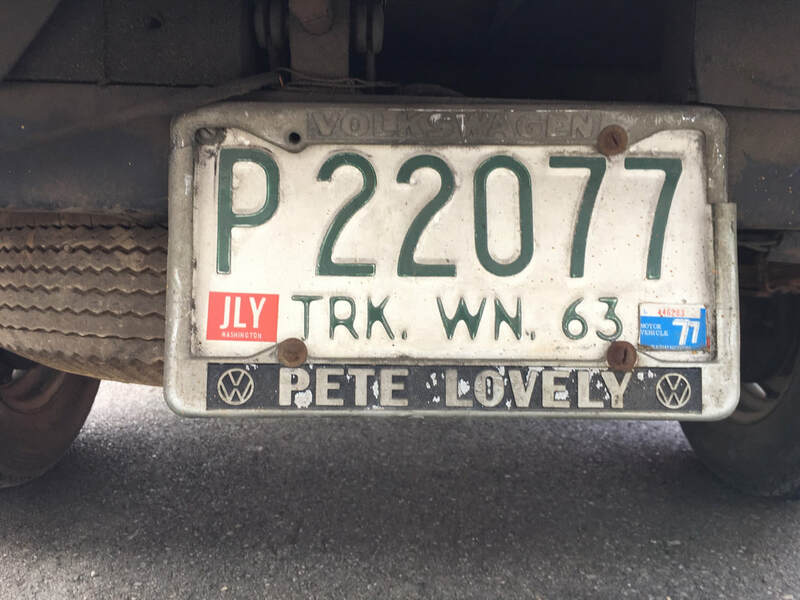 Lovely used the truck around his Volkswagen dealership in Fife, Washington as well as his own personal racing and side projects through the years. 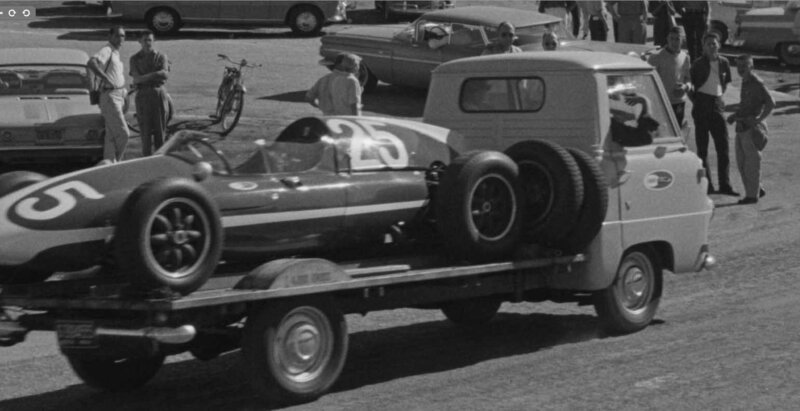 For the 1960 USGP, Fred Armbruster Racing Enterprises' logo was added to the doors of the truck, displaying the newly-purchased Cooper-Ferrari on the red, white and blue decal. 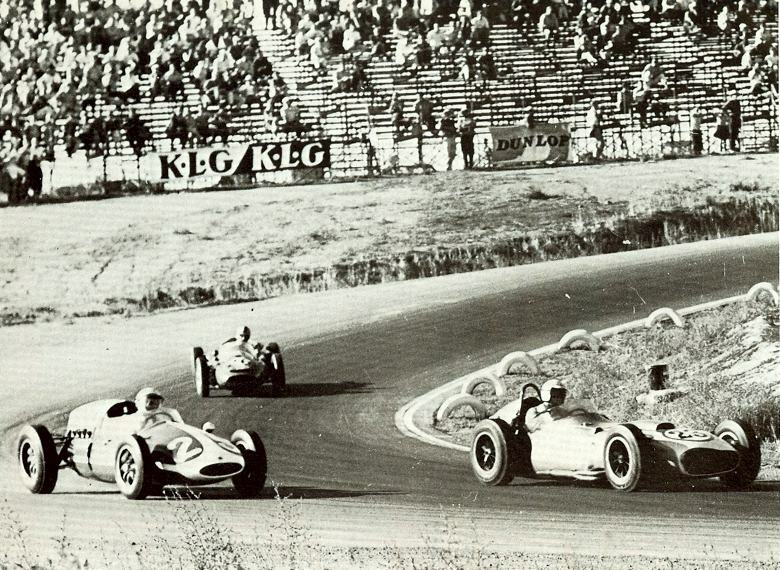 In his first Grand Prix start, Lovely qualified the Cooper/Ferrari 20th of the 23 cars entered and fifth among the six drivers from the United States who entered their home Grand Prix: Dan Gurney, Jim Hall, Phil Hill, Lovely, Chuck Daigh and Bob Drake. In the race, Lovely drove steadily until a four-minute pitstop to refill the car's Knight gearbox with oil dashed any hopes of making it to a points-paying position. At the end of the 75-lap race, Lovely placed 11th, six laps adrift from winner Sterling Moss. 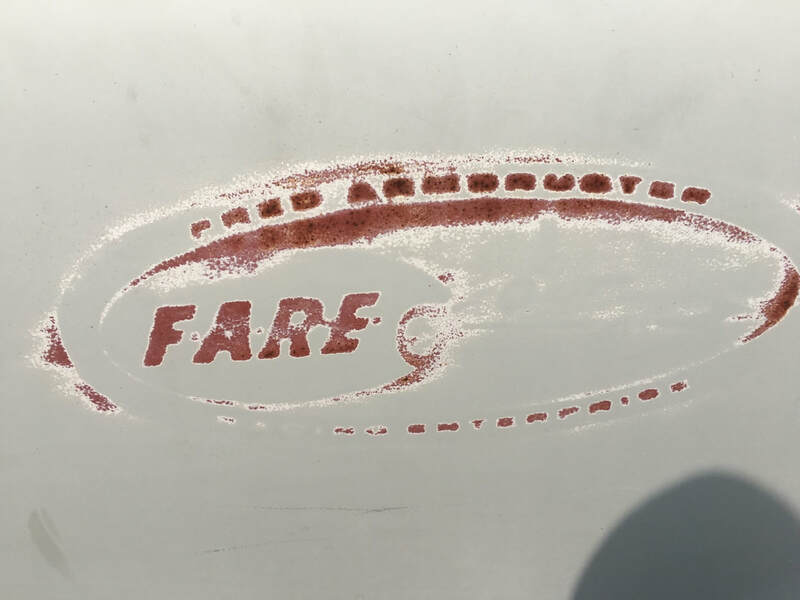 According to the documentation we received with the truck, it seems Armbruster's 'Fred Armbruster Racing Enterprises' owned the truck for a while in the early 1960s, as we have a reciept of title transfer to Lovely dated January 27, 1965. The Armbruster-owned Cooper was run by Lovely in occasional races up until 1965, most likely aboard the Thames for transit, which by then occasionally sported a large box on the back that curtailed the top speed by some 10 mph. Within a year, the Cooper was sold to California's Walt Mathewson, who raced it in SCCA competition and later as a Formula 5000 car. 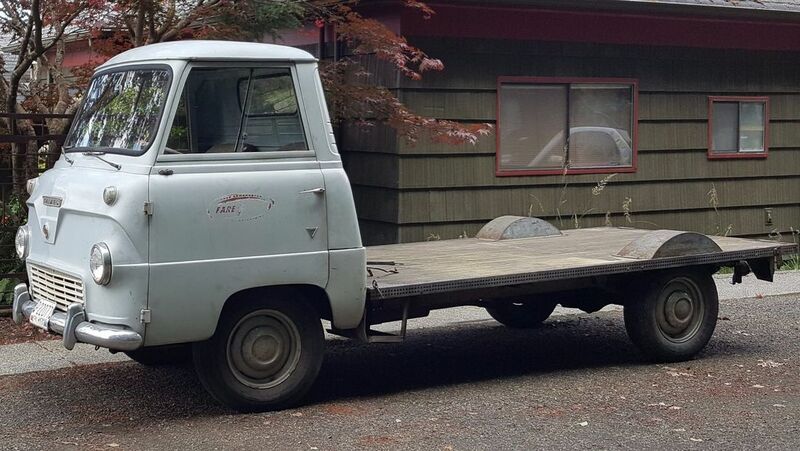 From there, Pete's usage of Volkswagen Transporters became the standard, not only in the Pacific Northwest, but for use for his Lotus 49 Formula 1 car in Europe and North America in 1969 and 1970, and for his Lotus 69 Formula 1 ride in 1971 at Mosport and Watkins Glen. The VW transporters were also used for Pete's vintage fleet in the 1980s, often having more than one on-site at a track with a priceless Formula 1 ride on the back. As for the Thames, it was last registered in the state of Washington in 1977 and then spent the better part of a few decades in Durante's basement at his Alfa/Ferrari shop. On May 15, 2011, Lovely passed away after a following a courageous battle with Alzheimer's disease. He will be long-remembered as the last American independent racer to make it to Formula 1, and that he was often a warm, good-natured gentleman. The world could use more Pete Lovelys. 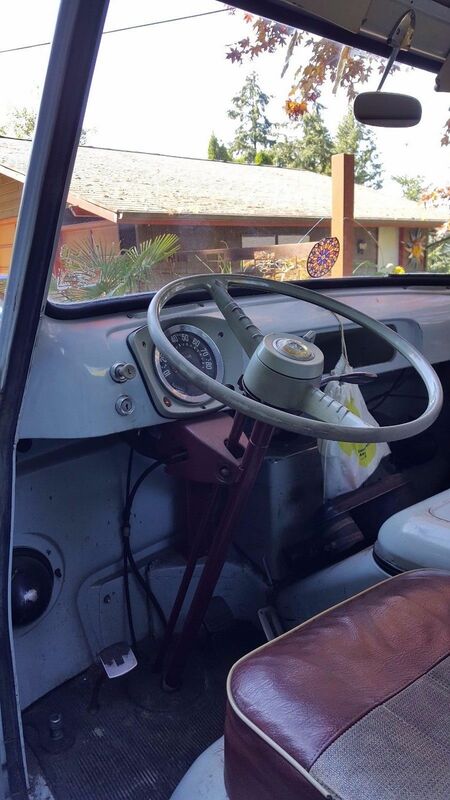 We were fortunate enough to find Pete's Thames 800 for sale, listed on eBay by his daughter and her husband, still on the outskirts of Seattle in Port Orchard. KMPR intends to leave the truck much the way it is, and use it as a preservation piece for fun on the road, at Concours events in a preservation class, and on very rare occasion, to take our 1977 All American Racers Eagle DGF to our home track of Road America, a mere hour from our shop.